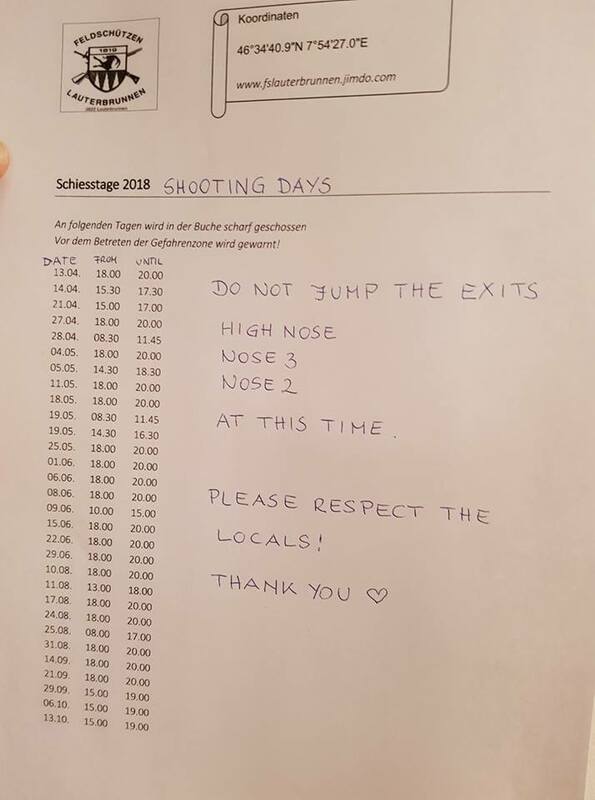 Prosím neskákejte v následujících termínech (datum, od-do) na exitech High Nose, Nose2, Nose3 – exity jsou přímo nad střelnicí v Lauterbrunnenu a v níže uvedených termínech zde budou probíhat střelby. Zákaz skoků v době střelby je z důvodu bezpečnosti a dodržení pravidel pro provozování střelnice. Respektujte lokální pravidla. Give way to paragliders in flight. Do not fly close to a paraglider in freefall – They cannot see or hear you! Do not cross the river in freefall! 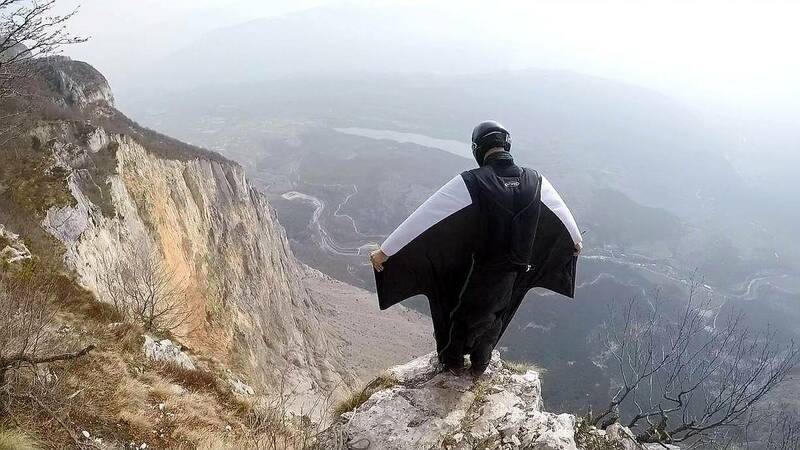 Trackers and wingsuiters are asked to turn left off the exits and fly towards Lauterbrunnen, on the left side of the river. Carefully check airspace before jumping! Only land to short grass! High Ultimate and Low Ultimate, Perkele and Flowerbox are closed from 09.00-14.00 every day. Also no tracking allowed to the right (waterfall) from Via Ferrata.